PGR Workshop: Presenting A Research Paper - The Good, The Bad, and The Ugly. 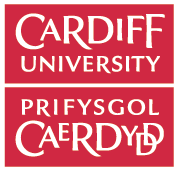 This workshop intends to provide those undertaking postgraduate study at Cardiff University's School of Modern Languages with tips on how to successfully present a research paper. There will be talks from members of the School's academic staff who will discuss their own experiences of giving papers at both national and international conferences, as well as offer guidance to those who are keen to present. The event will also involve a panel discussion, during which attendees will be encouraged to pose questions to a panel of academics who hold a wealth of experience in this field. A Wine Reception and Networking Opportunity will take place following the workshop. This will give attendees the opportunity to discuss the matters raised during the event with colleagues and staff of the School in an informal setting.